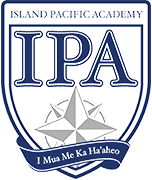 Today was the culmination of months of work for ISLAND PACIFIC ACADEMY Middle School students. 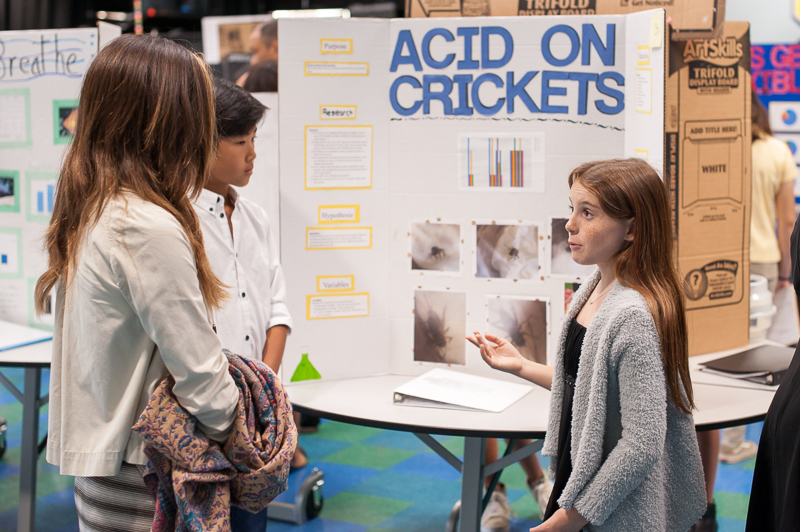 The 12th annual IPA Middle School Science Fair was held on campus this morning, January 17, with 66 projects on display by students in Grades 6 and 7. This is the first year in which the Grade 8 students did not participate; rather, they will be showcasing their design projects at the newly created Innovation Fair later this year. Each Fall, the middle school students work individually or in small groups to research, design, and execute a science project. 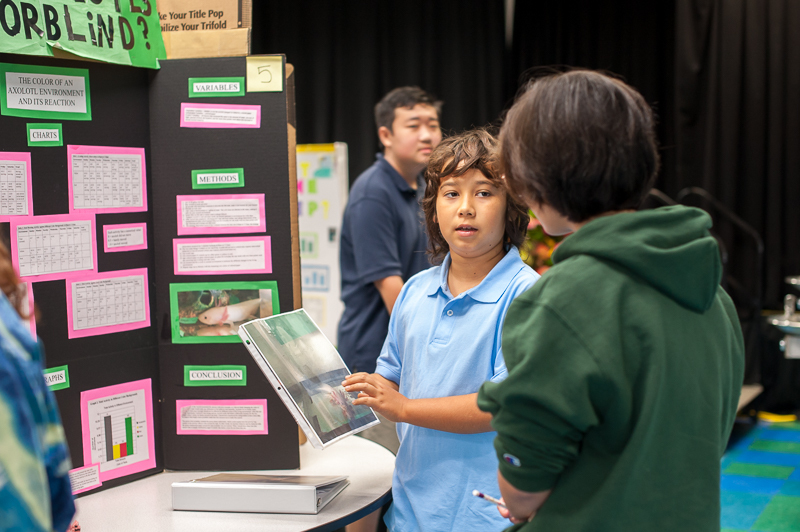 Time is spent in class and at home collecting and analyzing data, constructing presentation boards, and honing oral presentations leading up to the public presentation of their projects at the science fair. “Starting in August, we go through the science fair packet and brainstorm five ideas they want to do. They then narrow it down to one topic and decide on the experiments they want to test. Together we work through the lab report, their materials and methods, and their variables. 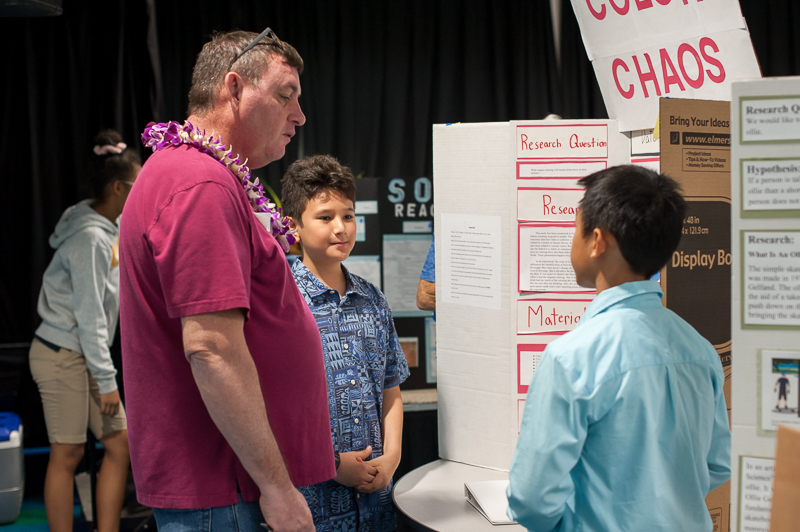 Then they perform their experiments, put it all together, and present their work at the science fair,” explained Alyssa Kuffel, IPA Middle School science teacher and Science Fair Coordinator. Seventeen judges comprised of faculty, IPA seniors, and professionals in related fields from the community (including IPA parents) spent the morning interacting with the young scientists – listening to the oral presentations, asking questions about their methods and conclusions, and critiquing and providing feedback. The students’ projects represented a range of categories including Animal Sciences; Behavioral and Social Sciences; Biochemistry; Biomedical and Health Sciences; Cell Biology; Chemistry; Earth and Environmental Sciences; Energy – Physical; Material Sciences; Microbiology; Plant Sciences; and Physics. The diversity of the student projects reflected the diversity of the students’ interests. Research topics included the effects of music on heart rate, the correlation of skater height to trick performance, and color vision in axolotls. Questions like “What sounds do cats like”, “How does social media affect friendships and mental health”, and “Can you generate enough electricity from household items to charge a cellphone” were explored and answered. 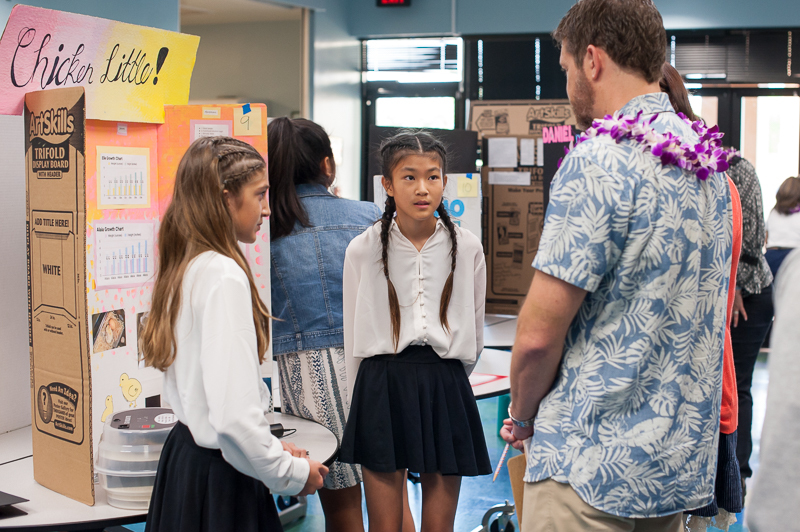 Up to 20 of the top-rated projects will now advance to the Hawaiʻi Association of Independent Schools (HAIS) District Science Fair, which will be held on Saturday, February 9 at Hanalani Schools. 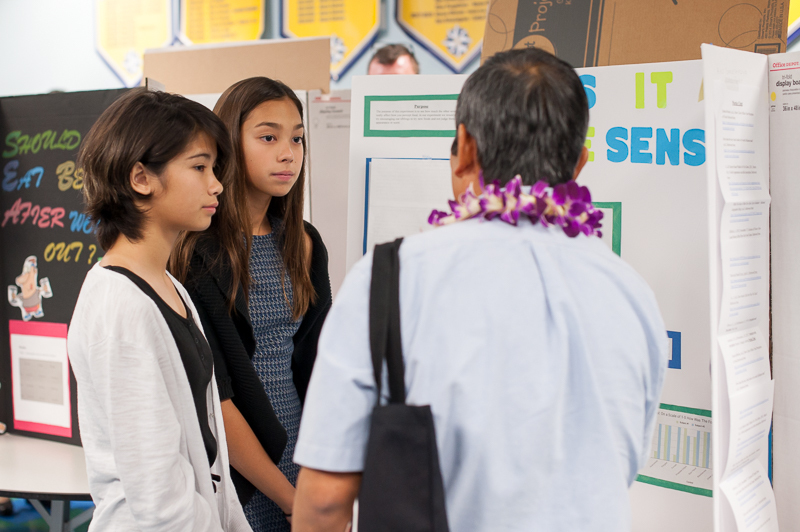 In the morning, students will once again present their projects to judges; in the afternoon the fair will be open to parents and the public. 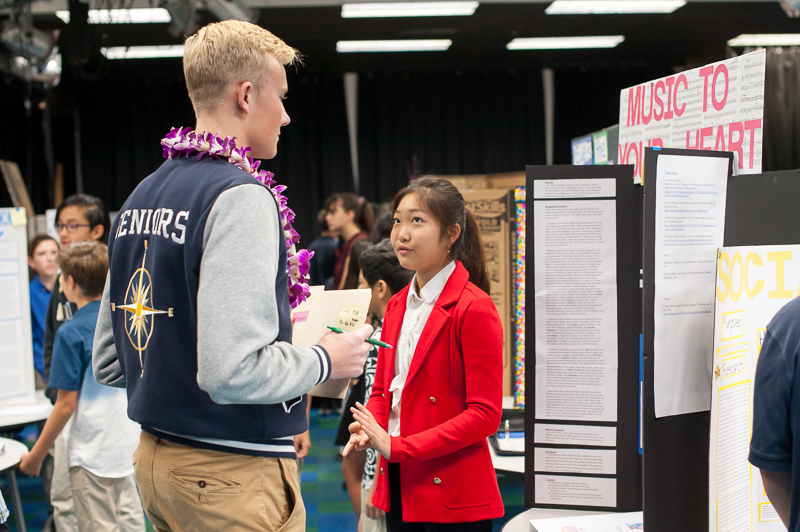 The winning projects at the district level will advance to the Hawaiʻi State Science and Engineering Fair (HSSEF) held at the Hawaiʻi Convention Center on April 8-10. Zachary (’25) explains how he studied axolotl color vision with IPA senior, Annie Uesugi (’19). 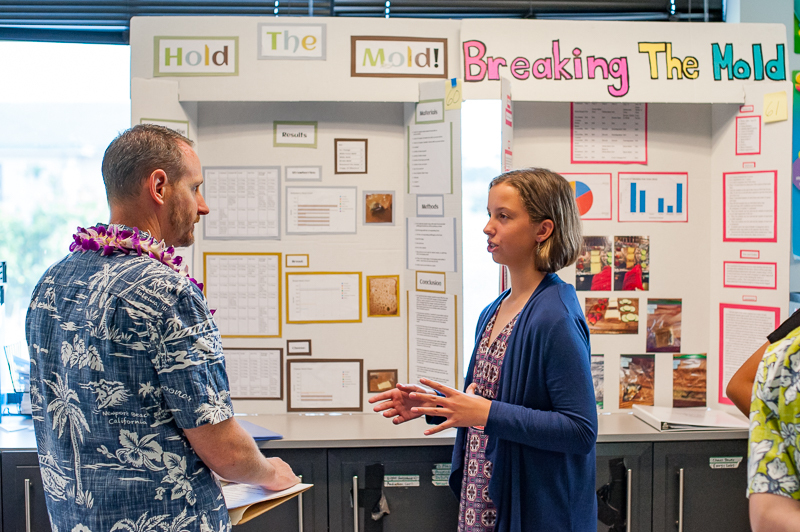 Lilja (’25) explains her research project to a science fair judge. Mason (’25) and Noah (’25) explain what their project, “Color Chaos”, means. 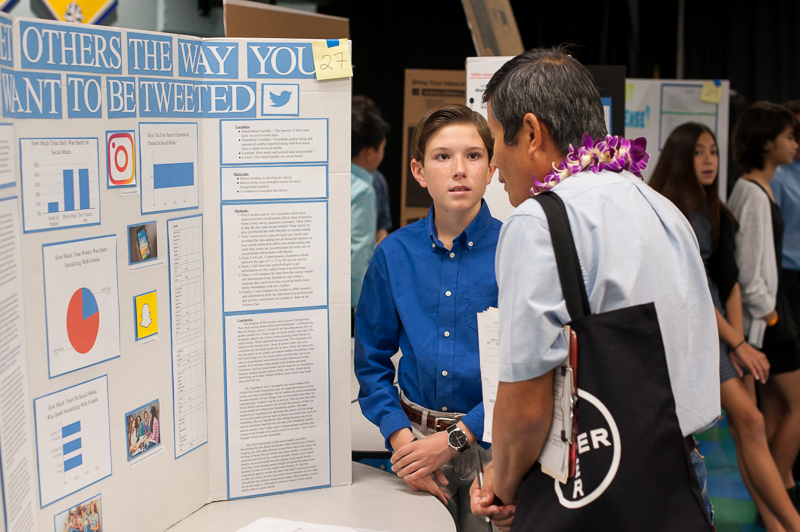 Caleb (’24) studied how social media affects friendships and mental health. Jaya (’24) and Madison (’24) get feedback on their research from one of the judges. 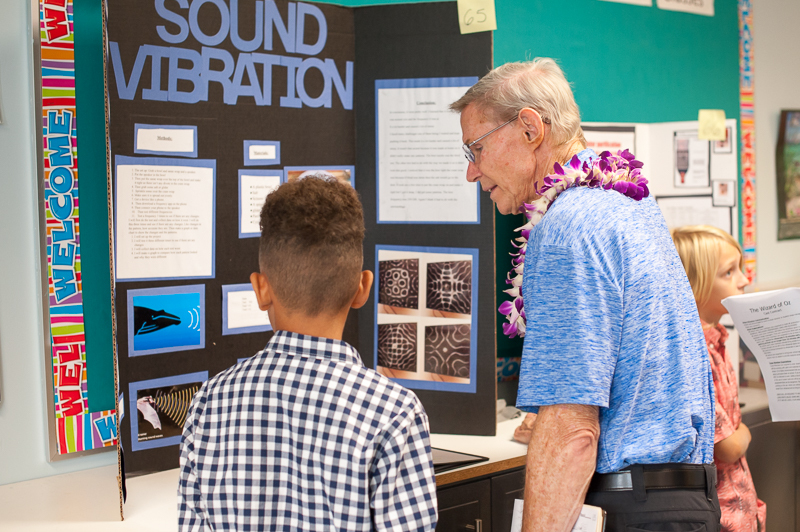 Kai (’25) talks about his science project on sound with IPA science teacher, Mr. Stan. Aiko (’24) and Samantha (’24) listen to a judges suggestions. Lauren (’24) explains how she performed her experiments to IPA senior, Steve Cleveland (’19). 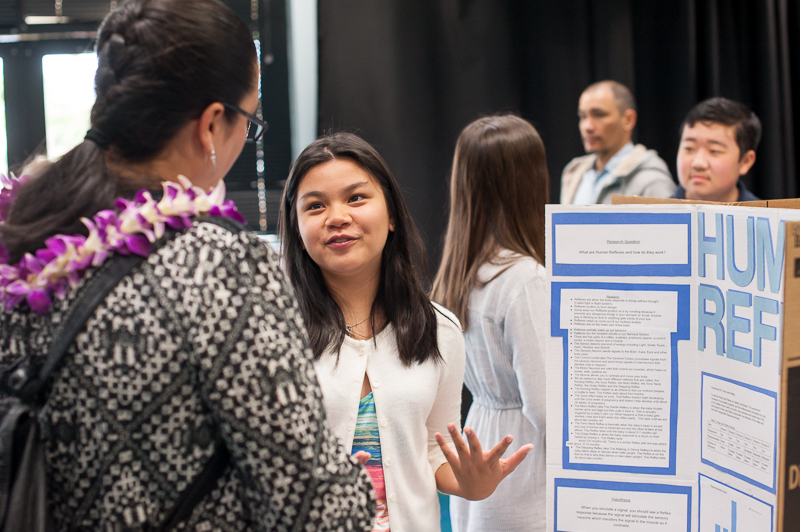 Shastine (’25) is excited to explain her project to judge and IPA parent, Cameo Fong. Connor (’25) and Emily (’25) talk about crickets with IPA teacher, Annnelise Yee.